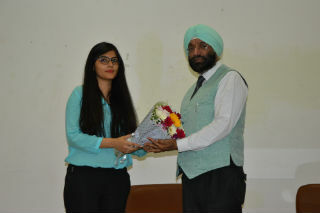 An introductory session on ‘How to Start Your own Business’ was held on Monday, 26th March, 2018 at JIMS Auditorium, Sector-5, Rohini, Delhi. Speaker for the session was Prof.H.P.Singh, Senior Consultant & Incharge Entrepreneur Development Cell, Program Director & Senior Faculty for Export –Import, National Institute of Entrepreneurship and Small Business Development (NIESBUD), Mins. Of Skill Development and Entrepreneurship. He was earlier Director of the ‘Export Management & Services Institute’. Prof. Singh did his post-graduation from Delhi School of Economic, University of Delhi and initially worked in Neatboard Limited., U.K. He is also guest faculty in various management institutions and is an eloquent speaker. The speaker explained through audio-visual presentation, about various government schemes and aids available for starting a new business. He gave examples of various startups and successful entrepreneurs. 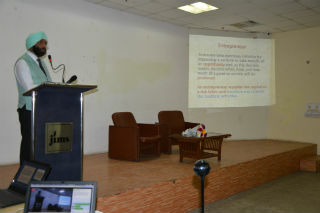 He encouraged the participants to be creative and explore new avenues. Different business opportunities and ideas were also discussed. 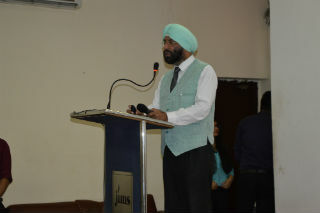 Prof. Singh explained about the Online Certification Program offered by the Min.of Skill Development and Entrepreneurship. The session was extremely engaging and students were highly enthusiastic to start something of their own. 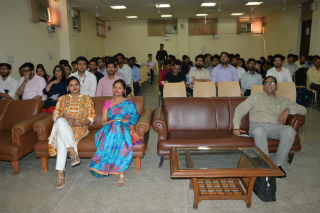 Several queries were raised regarding the opportunities available, after the session. 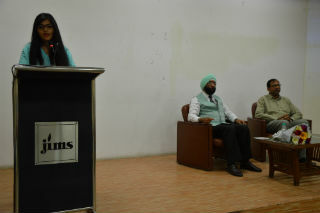 At the end, Ms. Aashi offered Vote of Thanks to the speaker and those associated with the session. 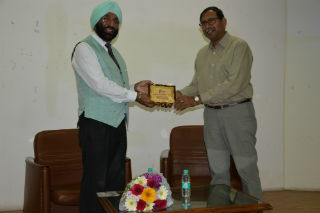 Dr.Sumesh Raizada, Faculty Coordinator, E-Cell presented the speaker with a memento as a token of appreciation. Other E-Cell members involved in organizing the event were Diksha, Vivek, Uddish, Vikas and Kunal.